Remembering Peter Yates' Marvelous Coming-Of-Age Bike Film, 'Breaking Away' Peter Yates, who died Sunday, directed one of the most exciting bicycle-race films you will ever see, and one of the warmest coming-of-age stories, too: the 1979 drama Breaking Away. Peter Yates, the British-born director of Bullitt and Breaking Away, died Jan. 9. 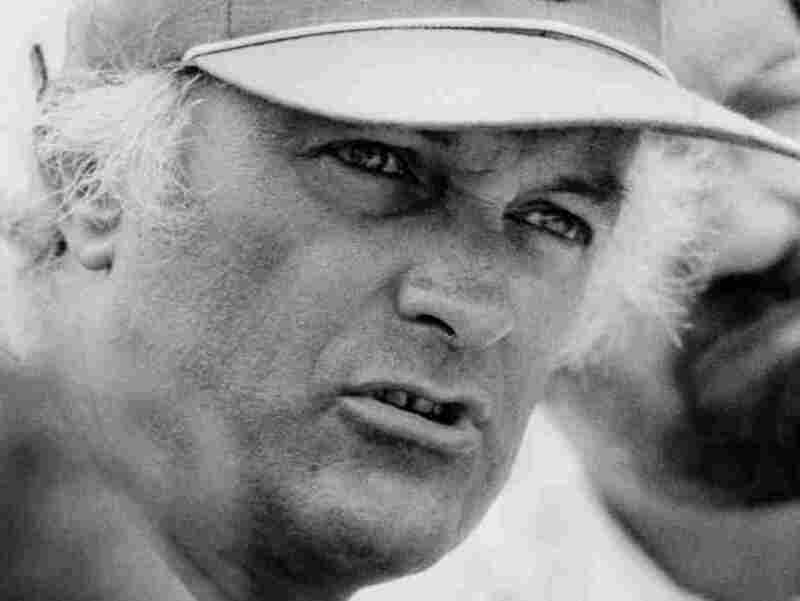 Peter Yates, who died Sunday, directed quite a few movies, including Bullitt, with Steve McQueen. He also directed what may legitimately be my favorite movie of all time: the thrilling, moving, sweet 1979 coming-of-age drama and enchanting bicycle-race thriller Breaking Away. Breaking Away stars Dennis Christopher, Daniel Stern, Jackie Earle Haley, and a very young and studly Dennis Quaid as four friends who are "townies" in Bloomington, Indiana -- home of the giant Indiana University and its Little 500 bike race (which is real). It's remarkable how you can love a film for many years without really staring at the title; it's never really consciously occurred to me, but of course, it refers here to both bicycle racing and the end of youth. At times, Breaking Away is a sweet, smart, enormously warm comedy, getting a boost from awe-inspiring performances by Paul Dooley and Barbara Barrie (perhaps the two best actors ever to play parents) as the mom and dad of Dave (played by Christopher), the only one who's a real, serious cyclist. Dave dreams of being on an elite racing team like the Italians, which ultimately morphs into a simple dream of being Italian, a development his parents meet with some combination of curiosity (his mother) and horror (his father). It's one thing to race, after all, but it's another to decide to rename the cat "Fellini." It's also a very thoughtful story about social class. The guys are the sons of "cutters" -- the men who cut limestone from the local quarries. And they consider themselves cutters, too: separate from and always suspicious of the college students (except sometimes the pretty girls), they have chips of varying weights on their shoulders, which they get from some combination of jealousy, resentment, pride, loyalty and boredom. And far from setting up the four friends as put-upon have-nots surrounded by haves, Steve Tesich's script is smart enough to ask the question of whether these boys have earned any resentment, any puffing out of their chests originating with the conviction that they stand in solidarity with their fathers. There's more to being a cutter, after all, than being mad at rich kids. But the way the movie handles cycling, which isn't one of cinema's more heavily covered sports, introduces another entire dimension and transforms Breaking Away from a nice character piece to a literally breathtaking story -- as in, "at times, one stops breathing." Watch this clip, which isn't even a climactic sequence in the story; it's just Dave training, out on the highway, where he encounters a friendly truck driver. Through one development and another and another, the guys wind up fielding a team for the Little 500, despite the fact that only Dave really knows anything about racing. And while the ending comes down to a climactic sporting event, like all great sports movies, that event is not about itself, but about what's at stake for the combatants. Admirably, there are no miracles in that race; people do not magically become superstars who yesterday were incompetent, and no one who couldn't ride a bike yesterday is the fastest man on the course today. It is much more about rising to the occasion to the best of your ability than it is about superhuman feats that emerge from nowhere. And yet, every time I see that closing sequence, despite the fact that I have seen it many, many times, I lean forward in my seat. I put my hand over my mouth. And yes, I stop breathing. That's Peter Yates at work, putting together that sequence so deftly that it no longer requires the element of surprise, despite being enormously suspenseful. It's not just storytelling; it's beauty, as much here as in any picturesque epic. Breaking Away is available on Netflix streaming, for those who enjoy that sort of thing, and it's very, very much worth seeing. Thanks to Peter Yates for the bike race, the serenade, and "Ciao, papa."